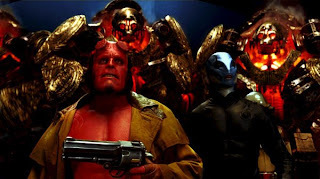 I just watched the movie (Hellboy 2: The Golden Army) in GSC Signature, The Gardens after the launch of Intel Centrino 2 Processor Technology today 5:30 to 7:30pm. 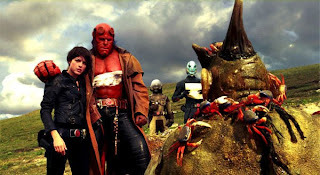 Hellboy is a humanoid creature born in the flames of Hell and brought to Earth as an infant. Raised in secret, the adolescent “HB” becomes an agent for the secret Bureau for Paranormal Research and Development (BPRD), a covert government agency which serves as the planet’s line of defense against otherworldly evil. Selma Blair will also reprise the role of Liz Sherman, a pyrokinetic human who is HB’s colleague and love interest. 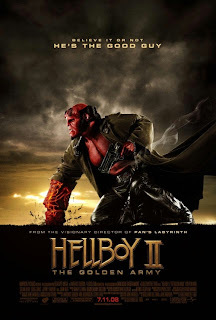 “Hellboy 2″ will expand the world of Hellboy and surround him with characters both new and familiar as he confronts a deadly threat to mankind. What is syiok about the movie... cuz it's FOC! Thanks to Intel. 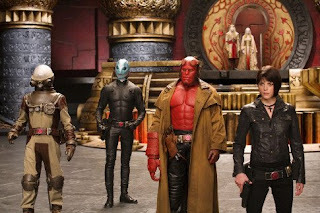 To those you enjoy special effect, no doubt it's very entertaining. 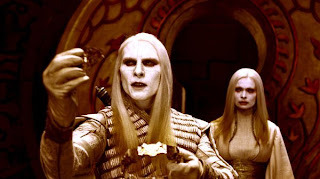 As for me, i don't really enjoy this genre - sci-fiction+fantasy. For a big screen movie, I would rather go for action-adventure like James Bond's "007: Quantum of Solace" or Jet Li's "The Mummy: Tomb of the Dragon Emperor", or Harrison Ford's "Indiana Jones".